Where can people listen to my broadcast? 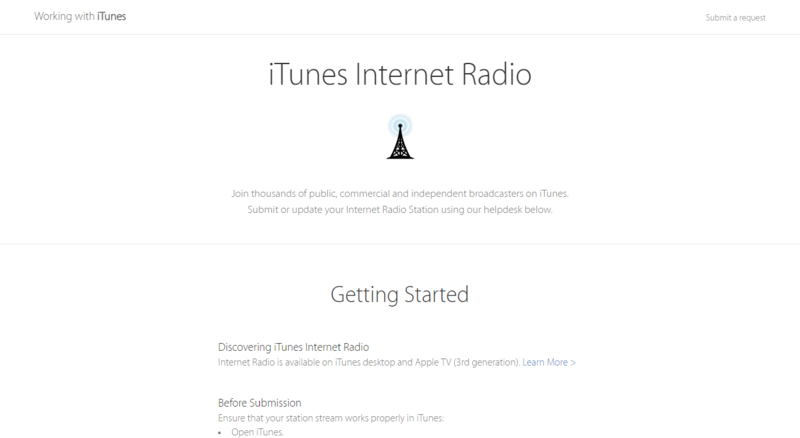 iTunes Internet Radio is the radio service managed by Apple. It's available within iTunes, so if your Mixlr station is hosted here it will be available to anyone with an iTunes account. 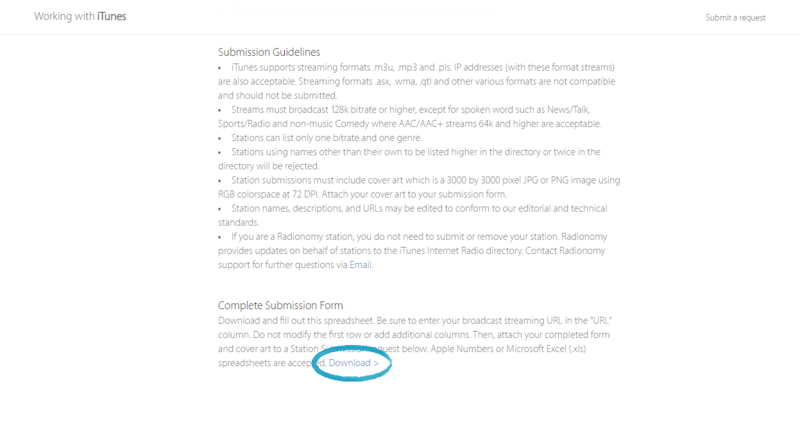 In this article we'll show you how easy it is to add your Mixlr broadcasts to iTunes Internet Radio. TIP: to add your Mixlr channel to iTunes Internet Radio you'll need to use the live stream URL which is available to Mixlr Pro subscribers. You can learn more about Mixlr Pro here, and you can sign up for Mixlr Pro here. 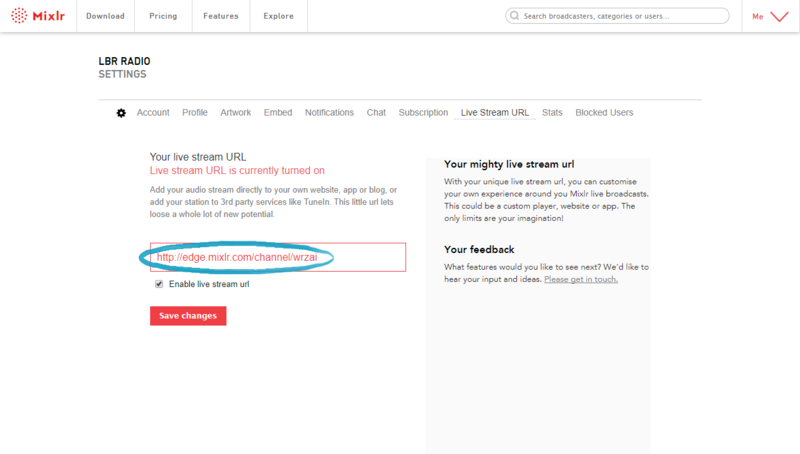 Your live stream URL is available on your live stream URL Settings page. Copy and paste your live stream URL from here. TIP: you may need to enable your live stream URL before you can use it. You can enable it on this page via the tickbox beneath your live stream URL code. Once you've got your live stream URL, go to https://support.itunesinternetradio.com/hc/en-us. This page contains some useful guidelines regarding your submission that you should read through before submitting your live stream URL - make sure you follow these instructions, or it's more likely that your submission won't be accepted. Once you've reviewed this section, scroll down the page to the Complete Submission Form section and download the form. 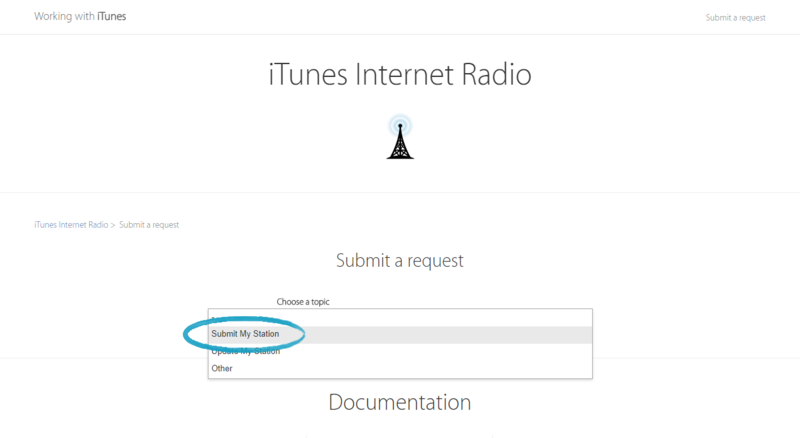 After you've completed this form scroll down and click 'submit a request', or go directly to https://support.itunesinternetradio.com/hc/en-us/requests/new. 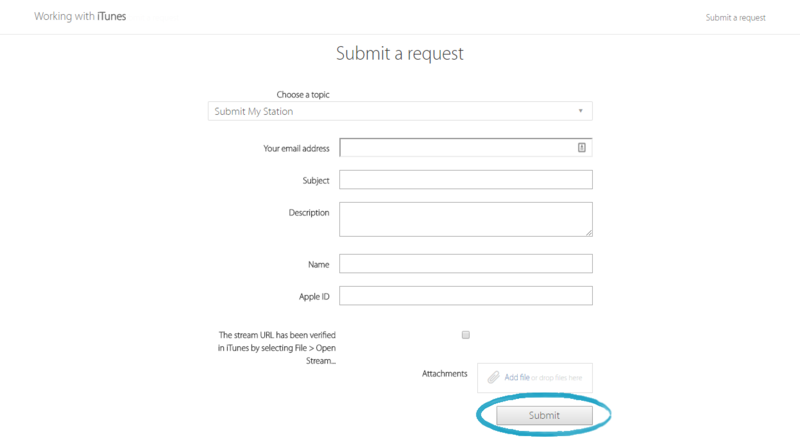 Click the drop-down box beneath Choose a topic and select 'Submit My Station'. On the next page enter the requested details, attach your completed form, and ensure that you the box to confirm that you have checked your live stream URL. Now you can click 'Submit'! Please be aware that it can take iTunes a little while review your submission. They will contact you directly with their decision about your submission. Find out how to submit your broadcast to TuneIn here.